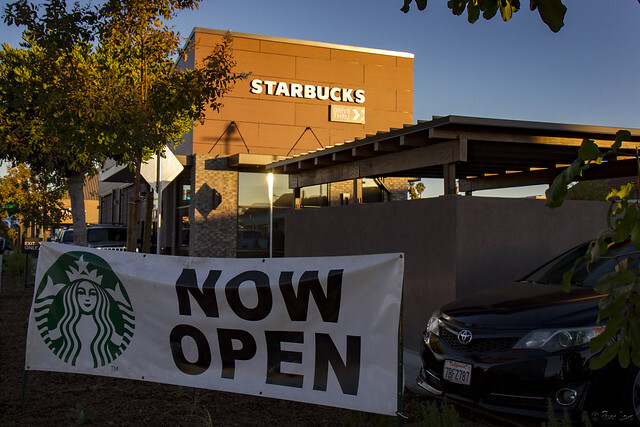 According to the Downey Patriot's initial report last year, "the Starbucks will 'bring liveliness to the southwest corner of Florence Avenue and Paramount Boulevard, that does not currently exist in the area.' ...[T]he new café will benefit the entire shopping center...Traffic in the intersection will not be impacted, city officials said." Well, we'll see about the traffic. Meanwhile, I'm enjoying my hot chocolate! 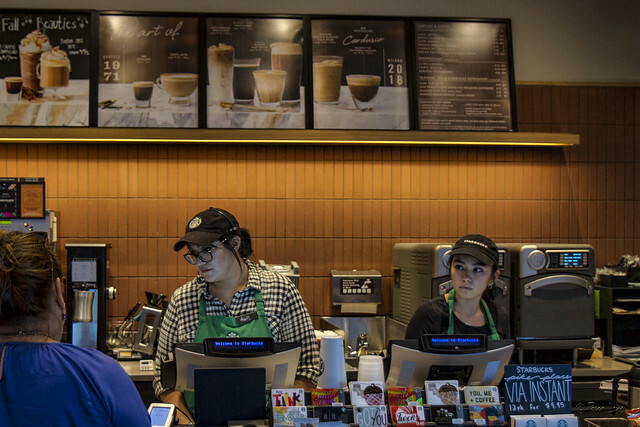 I confess it seems to me a bit sad that it would take a Starbucks to introduce "liveliness" to an intersection... :) Nevertheless, I also confess that I do occasionally purchase a coffee at Starbucks.